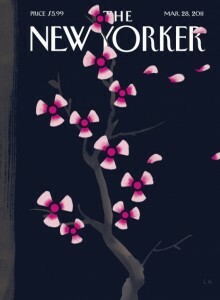 This week’s New Yorker cover pretty well sums up my thoughts lately. It’s a bleak, semi-natural image that blends art and science, offers brightness amidst darkness, and reminds us of how little most of us know about physics, nuclear energy and radioactivity. And it’s a strange, unsettling start for the Spring.